Paris has always been good to the photographer. Over the past few years we’ve made a few trips to Paris and have always left wanting more. During those visits we rarely leave the 5th or the 6th and generally hang out on the Left Bank. In six trips we’ve never seen Versailles, we’ve never been to the top of the Eiffel Tower, we’ve never taken a river cruise and we’ve never regretted missing any of those spots. Instead, our paris is on the streets, sitting in parks, drinking in cafes, shopping in the farmer’s markets and taking late dinners on Rue Mouffetard. This trip will be a little different since I’m traveling for work and I’ll be on my own. I’ve chosen to stay in our little corner of bordering the 5th and 6th arrondissements, near the Pantheon even though it will mean traveling across the city each morning for work. You can’t really beat having to walk through the Jardin du Luxembourg as part of your morning commute. Gear wise it is not much different than any other trips except that I contemplated only bringing the Ricoh GR, but chickened out in the end. One of the reasons is that I have a new (1958) Canon LTM lens that I would like to put through its paces and the other reason is a little less concrete and more nostalgic. I love having the Leica by my side as I stroll up and down the little streets. 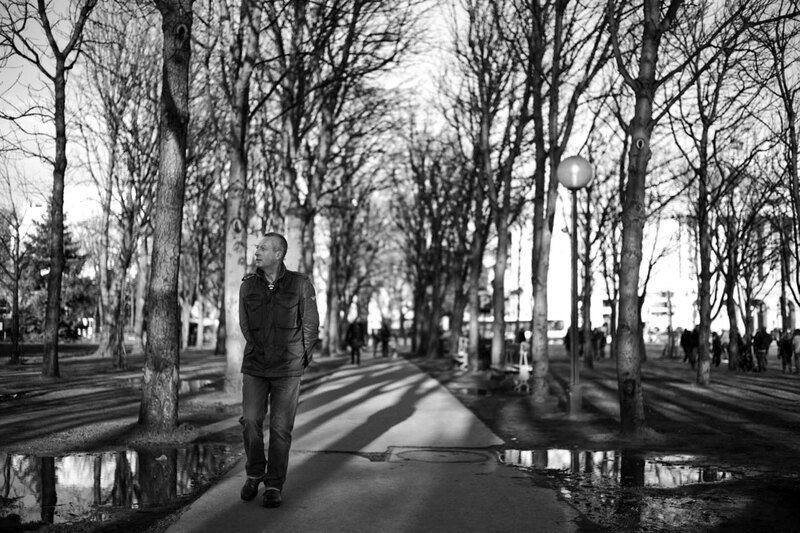 It is strictly an emotional connection, but shooting the Leica in Paris, as cliche as it is, is just fun. So, with that said here’s what’s in my bag for this trip. 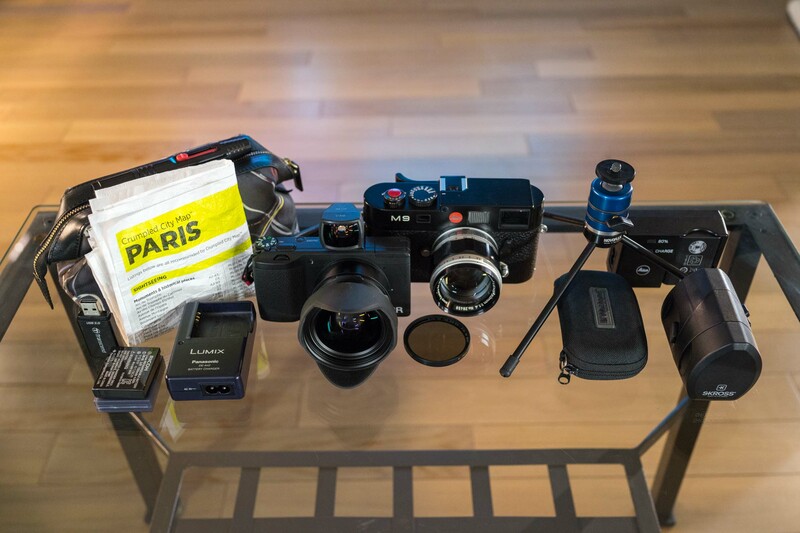 Here’s what’s in my bag for Paris. BTW – All of these item easily fit in a messenger bag or even the smallest backpack. Looks good. Looks fun. Someday I want to be there with you. Anytime! Paris is always a good idea.